All those involved with the teaching of science need to have a common understanding of what the true Nature of Science is and how it impacts students' understanding of content. For students, having a true understanding of the Nature of Science will help to develop true science literacy. Perhaps the most basic justification for teaching the nature of science is simply to help students develop accurate views of what science is, including the types of questions science can answer, how science differs from other disciplines, and the strengths and limitations of scientific knowledge so that they can be informed citizens of the world. 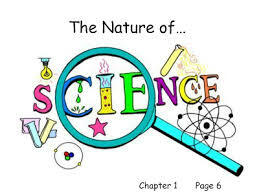 In this module we will focus on the Nature of Science and its role in a Chemistry classroom. What do the Next Generation Science Standards say about the Nature of Science? There is a “nature of science” that students need to understand to be scientifically literate. Teachers believe science is tentative, uncertain, cannot solve all kinds of problems, and deals mainly with attempts to explain natural phenomena in natural terms.